Salesforce reigns supreme as the world’s #1 CRM solution, giving businesses the control and flexibility to create a system that works around their own particular goals and needs. When Salesforce user adoption is high, the platform can help teams excel at selling, servicing and marketing, thanks to its cloud-based tools that increase productivity, keep the pipeline filled with solid leads, and score more customer wins. No software. No hardware. No speed limits. Excellent. The beauty of this super malleable platform is that you can mould the system to fit around your own particular needs – with virtually no barriers or stoppers - as these evolve and your business grows. All with you at the helm of your own progress. The downfall, however, is that out-of-the-box Salesforce is a little bland. For the powerhouse to reach its full potential, it needs to be injected with some extra app-tastic juice. And it’s here where Salesforce partners come into their own. Meet the Appexchange marketplace, generously stocked with both native Force.com as well as external applications, all built to get more out of the CRM platform. But with almost 3,000 partner apps available on the marketplace, deciding which of these tools will make our CRM implementation a success is anything but a small task. 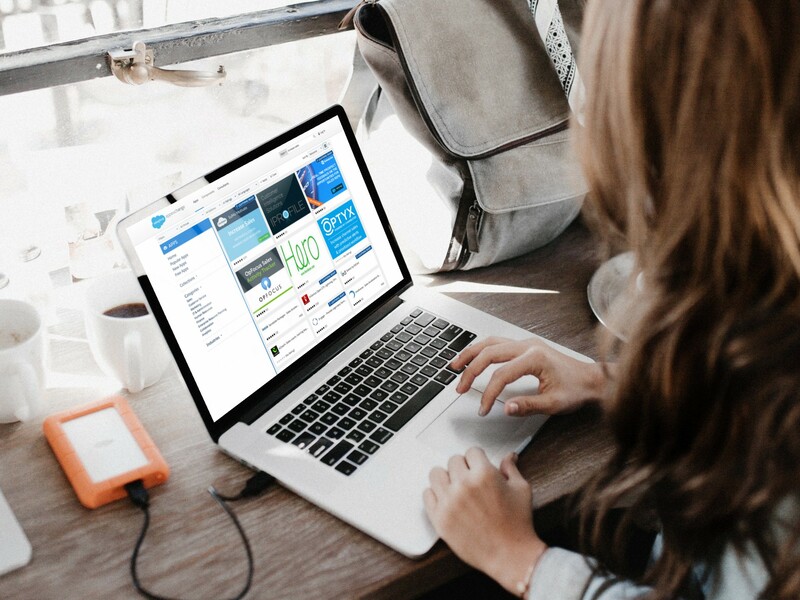 To give our readers a helping hand, we’ve put together a list of six unmissable apps that you should be adding to your Salesforce investment to start realising some serious ROI. One of the most popular apps on the AppExchange, Conga Composer makes document generation easy, accurate and breathtakingly fast. Rapidly create multiple different document types (on Word, PowerPoint, PDF, Excel, HTML) using mail-merge and workflows. Lightning Ready and available on Salesforce1. Make your life that much easier with Jitterbit - a cloud integration platform that allows non-technical users to achieve Salesforce integration with SAP, NetSuite, Oracle, Microsoft, EDI, and other data, apps and devices. What makes this app so special is that it can be installed through point-and-click setup and integrates with most systems through its universal database connector. It doesn't just connect up your existing applications, it can also be used to connect to cloud services. Basically, if you’re looking to undertake any form of integration with minimal effort and resource uplift, this one’s the way to go! DocuSign has simplified the approval process by speeding up the workflow for your business’ most important documents. From legal documentation to sales orders, DocuSign is simple, secure and fully digital. The digital transaction management system seamlessly integrates with Salesforce, allowing users to pull in any customer information into a document and modify documentation directly onto the Salesforce record. Send, sign & track agreements & approvals anytime, anywhere and from any device. DocuSign is Lightning Ready and offers prospects a free 30-day trial. 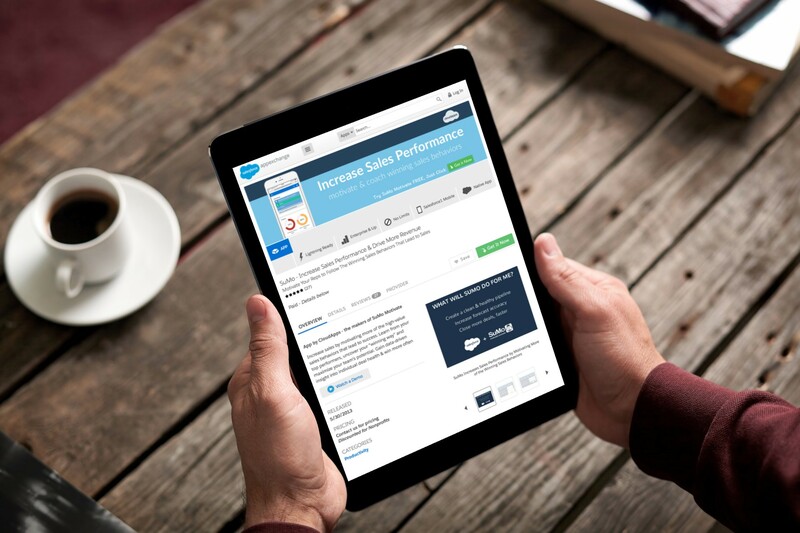 Here’s an app that’s actually going to help you get the most out of your Salesforce investment. Thanks to its unprecedented insight capabilities, SuMo helps customers clearly view the performance of their team in the system, helping them to create a clean & healthy pipeline, build a stronger forecast and deliver a personalised, real-time coaching system for reps that increases their sales performance. Forget traditional sales improvement techniques and say hello to SuMo; continual sales improvement that iterates between sales performance insight and sales improvement action. 100% Native to Force.com & Lightning Ready. A 30-day fully-functional free trial is available on the Appexchange. Keep all your communications in one place with this automatic email integration offering. Populate Salesforce with 100% of business emails, unlock missing business contacts, capture social profiles, titles & phone numbers from emails signature and leverage Engagement Scoring to improve Close Rates. GetFeedback’s mission is to help companies monitor and transform their customer experience. This application makes the arduous task of requesting and utilising customer feedback simple, allowing users to create beautiful, branded surveys in minutes. It's responsive in any device and it is completely customisable. GetFeedback connects to Salesforce natively, allowing you to store surveys with your customer data. Upgrade your reports and dashboards with powerful, evidence-based customer experience. And there you have it, our pick of the six most useful applications available on the Appexchange right now. Power up your Salesforce implementation with a healthy boost of ground-breaking innovation from the most trusted partners in the Salesforce ecosystem. Discover how SuMo is rapidly increasing the performance of sales teams the world over in this short product demo.